Cliccare sulla voce "IL MIO LAVORO" per maggiori informazioni, e cliccare su ciascuna foto per leggere la didascalia o la nota. 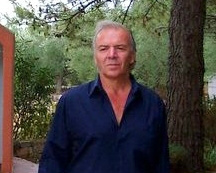 My name is Michele Lombardi, I'm a researcher, writer and lecturer. Over the last seven years of study and research I have accumulated a great amount of unheard-of discoveries, extraordinary from all the perspectives. They are related to Leonardo da Vinci, his work, his life, and much more. They are based on such definite, immediate, direct, objective, spectacular evidences that they do not need any expert to evaluate them as extremely eloquent. The findings bring to light an incredible fascinating hidden world in which Leonardo da Vinci belongs with all his heart. They also demonstrate clearly that Leonardo used incomparable and never guessed techniques, and that he inserted in his work coded information, numbers, maps, images and more. Furthermore, my findings show that Leonardo is the true author of famous works attributed to others. Finally, I have extracted from his works dozens of his spectacular portraits (and many others could still be extracted) that could be defined as photographic, even if the definition is vague and not entirely accurate because of a missing part that I can not mention in this context. Of course I can give a practical demonstration at any time and in any place of how the techniques of Leonardo work, achieving extraordinary results in approximately two hours under the eyes of the observer. Despite the abundance and fullness of clues, these trace only the beginning of an endless road. The findings will ensure international prestige and will launch a new commercial exploitation arising from new research that could be driven once again by those who will be able to start with me the whole operation, new research that will be even more profitable. It's obvious that will be erased much of the old story and a completely new will be born. I hope I've been able to make people understand which is the level of the things I propose, and how it is essential the value and capabilities of the partner who has to be up to drive a strong and complex task, that with a little intelligence can become easier than you think. I must add that my findings are not limited to Leonardo. They gave me the key to decode many more mysteries around the world, some of them very ancient. I have to show absolutely amazing things that force to revise many certainties and build a new way of thinking about the history that we know, and even about the reality that surrounds us. After that, I would point out that it is useless to indulge in doubts and resistances compared to my statements. You just need to decide to see if the things that have been described are true. It 'a small gesture of concreteness that resolves in short everything with little effort. The stakes are high as that of which I speak about is a revolutionary subject that can take on any economic value. If you decide to check, I ask the formal commitment on the part of my interlocutor that, in case I give a full and incontestable proof (only at a law firm or notary), he will certainly and immediately implement the project previously agreed. The agreements shall provide for a fair amount previously allocated to me as immediate and tangible recognition of the great value of the discoveries and the identification of percentages. The agreement will also provide my commitment to continue in the production of other material and everything you need to follow up the initiative to support and enrich it (books, films, exhibitions, image rights, conferences etc..). A few years ago one English representative of mine and my international law and copyright roman lawyer, started, based on some of my findings, an important deal with a famous television production house in London. The British leaders understood perfectly the value of those discoveries (now vastly superior) and determined that not only the film had to be done but everything else was logical to do: movies, books, exhibitions and so on. They worked out a program which covered the next eight years, during which I had to be the star of many films and so on. I still have the copy in English of that program. The negotiation had no result because a few days after our first agreements was officially announced the global economic crisis. The British television production company was restructured and changed leaders. - Choose a prestigious venue. - Fix a date not far away, say five months from now, for the presentation of all of my findings to the only audience that really counts: 50 or 60 press and television journalists, either national and international, who will spread the new all over the world after the meeting of 5 or 6 hours. At that moment, all discoveries, the books, the films that will be ready, will turn their value from 0 to 10,000. The day after will be arriving requests of any type from all sides, without end. - On that occasion will be presented one or two ready books, one or more films (or movies) and many photos of great effectiveness and impression. The photos themselves will procure, perhaps, the first and immediate gains through their copyright. All materials will be prepared in the five months before the expected date for the submission. To proceed in this way will solve three fundamental problems: the attribution of authorship of the discoveries that will take place simultaneously on all the material (the findings are really many); personal safety (my findings will disturb many interests not only the economic ones); the creation of the market value of the "noble goods" that goes from 0 to the value of 10,000, immediately after the conference and the information disseminated by journalists present at the conference. I just add an annotation. Next year there will be an EXPO in Milan ', a worldwide event and a great showcase. Seizing on that occasion also (exploiting it as a sounding board from the outside also) would be very smart. Note: Of course, my findings have already been deposited at the SIAE in Italy. Mi chiamo Michele Lombardi, sono un ricercatore, scrittore e conferenziere. Negli ultimi sette anni di studi e ricerche ho accumulato un elevato numero di scoperte senza precedenti, straordinarie da tutti i punti di vista. Riguardano Leonardo da Vinci, le sue opere, la sua vita e molto altro ancora. Esse si basano su prove certe, immediate, dirette, oggettive, spettacolari che non hanno bisogno di alcun esperto per la loro valutazione in quanto estremamente eloquenti. Le scoperte portano alla luce un incredidile quanto affascinante mondo nascosto a cui Leonardo da Vinci appartiene con tutto se stesso. Dimostrano, inoltre, inconfutabilmente che Leonardo usava tecniche ineguagliabili e mai intuite, e che inseriva nei suoi lavori informazioni in codice, numeri, mappe, immagini ecc. Ancora, le mie scoperte dimostrano che Leonardo è il vero autore di famosissimi lavori attribuiti ad altri. Infine, ho già estratto dalle sue opere decine di suoi spettacolari ritratti (e moltissimi altri potrebbero essere estratti ancora) che potremmo definire fotografici, anche se la definizione è approssimativa e non del tutto esatta perchè mancante di una parte che non posso menzionare in questo contesto. Naturalmente, sono in grado di dare dimostrazione pratica in qualunque momento ed in qualunque sede di come funzionano le tecniche di Leonardo, ottenendo in circa due ore risultati straordinari sotto gli occhi dell'osservatore. Nonostante l'abbondanza e la pienezza delle prove, queste tracciano solo l'inizio di una strada senza fine. Le scoperte assicureranno prestigio internazionale e daranno il via a nuovi sfruttamenti commerciali derivanti da nuove ricerche che potrebbero essere guidate ancora una volta da chi sarà riuscito a far partire insieme a me l'intera operazione, nuove ricerche che saranno ancora più remunerative. E’ evidente che verrà cancellata una buona parte della vecchia storia e ne nascerà una completamente nuova. Spero di essere riuscito a far comprendere qual è il livello delle cose che propongo, e come è assolutamente indispensabile il valore e la capacità del partner che deve essere all’altezza di guidare un’operazione forte e complessa, ma che con un po’ di intelligenza può diventare più semplice di quanto si creda. Devo aggiungere che le mie scoperte non si limitano a Leonardo. Questi mi ha dato la chiave di decodifica di molti altri misteri sparsi nel mondo, alcuni antichissimi. Ho da mostrare cose veramente stupefacenti che obbligano a rivedere molte certezze e a costruire un nuovo sistema di pensiero circa la storia che conosciamo, e perfino riguardo alla realtà che ci circonda. Ciò detto, faccio osservare che è inutile indulgere a dubbi e resistenze rispetto alle mie affermazioni. Bisogna soltanto decidere di verificare se le cose che sono state descritte sono vere. E’ un piccolo gesto di concretezza che risolve in breve ogni cosa con poco sforzo. La posta in gioco è altissima in quanto ciò di cui parlo è materia rivoluzionaria che può assumere qualsiasi valore economico. Se si decide di verificare chiedo l'impegno formale da parte del mio interlocutore che, qualora fosse da me fornita una prova piena e incontestabile (soltanto presso uno studio legale o notarile), egli darà certamente ed immediatamente attuazione al progetto precedentemente concordato. Gli accordi dovranno prevedere una congrua cifra destinata preventivamente a me come immediato e tangibile riconoscimento del grande valore delle scoperte e l’individuazione delle percentuali. L’accordo prevederà anche il mio impegno a continuare nella produzione di altro materiale e di tutto ciò che serve a dare seguito all’iniziativa, a sostenerla e arricchirla (libri, film, mostre, diritti sulle immagini, conferenze ecc.). Qualche anno fa un mio rappresentante inglese e il mio avvocato romano di diritto internazionale e diritto d’autore avviarono, sulla base di alcune mie scoperte, una importante trattativa con una famosa casa di produzione televisiva di Londra. I dirigenti inglesi compresero perfettamente il valore di quelle scoperte (ora sono enormemente superiori) e stabilirono che non era soltanto il film che doveva essere fatto ma tutto ciò che era logico fare: film, libri, mostre ecc. Elaborarono un programma che riguardava i successivi otto anni durante i quali dovevo essere protagonista di molti film ecc. Ho ancora la copia in inglese di quel programma. La trattativa non ebbe più seguito perché pochi giorni dopo i nostri primi accordi fu annunciata ufficialmente la crisi economica mondiale. La casa di produzione televisiva inglese si ristrutturò e cambiarono i dirigenti. - Fissare una data non lontana, diciamo a cinque mesi da ora, per la presentazione di tutte, ma proprio tutte le mie scoperte all’unico pubblico veramente che conta: 50 o 60 giornalisti della carta stampata e della televisione, nazionali e internazionali che dopo l’incontro di 5 o 6 ore diffonderanno la notizia in tutto il mondo. In quel momento tutte le scoperte, i libri, i film che saranno già pronti passeranno dal valore 0 al valore 10.000. Il giorno dopo arriveranno richieste di ogni tipo da tutte le parti, senza più fine. - Spiegherò le mie scoperte con mezzi multimediali ma anche con grandi modelli di macchine di Leonardo che il mondo non ha mai visto. Inoltre, in quell’occasione ci sarà anche una mostra delle immagini che ho estratto dai lavori di Leonardo, e che verranno mostrate con numerosi e grandi monitor comandati da una centralina che “lavora” un programma di gestione della mostra (spese minime che dovranno essere sostenute dal partner). Una esperienza, questa, che verrà ripetuta in molte città del mondo, successivamente (anche se l’intelligenza imporrebbe di organizzare la stessa stupenda mostra, basata prevalentemente sulle immagini, contemporaneamente in 20, 30, 40 città diverse, in quanto i costi non lieviterebbero di molto rispetto a quelli occorrenti per l'allestimento di una sola mostra. I locali, ad esempio, potrebbero essere di proprietà del partner; i monitor li potrebbe fornirebbe lo sponsor tecnico; le stupende immagini-scoperta non richiederebbero alcun costo di trasporto). - In quella occasione verranno presentati uno o due libri già pronti, uno o più filmati (o film) e molte foto di grande efficacia e spettacolarità. Saranno proprio le foto a procurare, forse, i primi e immediati guadagni attraverso i loro copyright. Tutto il materiale sarà preparato nei cinque mesi precedenti la data prevista per la presentazione. Procedere in questo modo risolverà tre problemi fondamentali: la paternità o attribuzione delle scoperte che avverrà contemporaneamente su tutto il materiale (le scoperte sono veramente molte); la sicurezza personale (le mie scoperte disturberanno molti interessi non soltanto economici. ); la creazione del valore di mercato della “merce nobile” che dal valore 0 passa al valore 10.000, immediatamente dopo la conferenza e l'informazione diffusa dai giornalisti presenti alla conferenza. Aggiungo soltanto una annotazione. L’anno prossimo a Milano ci sarà l’EXPO’, una manifestazione mondiale e una grandissima vetrina. Saper cogliere anche quell’occasione (sfruttandola come cassa di risonanza anche dall’esterno) sarebbe molto intelligente. Nota: Naturalmente le mie scoperte sono state già tutte depositate presso la S.I.A.E. in Italia.